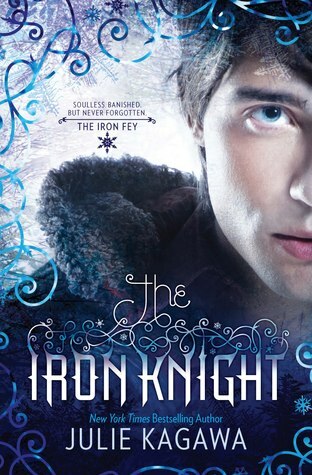 It feels wrong to label The Iron Knight as the fourth Iron Fey book. This isn’t Meghan’s story, and she’s only in the novel peripherally. It’s more masculine. It’s more quest-oriented. Honestly, it’s more epic. And those are all good things, as this is Prince Ash’s story. We join the Unseelie Prince, once favored son of Queen Mab, as he seeks a way to become mortal, so he can return to the Iron Realm and his beloved Meghan. You may recall, she banished him from the Realm after she became queen. She did it because she loved him, and as a winter faerie, he had no chance of surviving in the Iron kingdom. He promised to find a way back to her, and The Iron Knight is his journey to do so. It took me much longer to read The Iron Knight than it did any of the earlier books. (Four days, give or take.) And that’s because the breakneck plotting doesn’t come until the latter half. The early portion of the book offers us familiarity in the banter between Ash and Puck, who has insisted on tagging along. Puck’s important to the tale, because he really knows Ash and is able to prod him along at the right times. Ash is on a quest, and finding the answers about where to go, etc., take some time. So, the first bit is touch meandering, if not familiar. It’s when Ash gets direction, when they have a goal in sight, that things get complicated. I said before this is Ash’s journey, and it is. 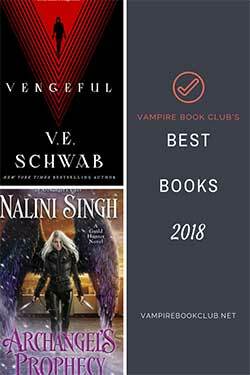 While his love for Meghan and his promise to return propel him, this is a book about Ash accepting himself. He needs to deal with his emotions over the loss of his first love Ariella. He vowed to kill Puck over her death, and we caught hints of his sadness over her loss in the earlier Iron Fey novels. This time, though, we learn the truth of her death, of his feelings about her, losing her and whether he compares her to Meghan. Would he want to be with Ariella if it was an option? He must come to terms with that, with what he’s done in the past and with who he truly is before he has any chance of returning to Meghan. The Iron Knight was rousing and touching. It offered the great honesty we see in truly epic tales. Julie Kagawa made sure we’d see Ash’s soul. We’d understand him. And love him all the more for it. She also made me like Puck much more, which is a feat in and of itself. 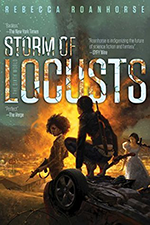 The quest takes on a heady nature toward the end, and once I hit two-thirds in, I was unable to put the book down. It took a bit to get there, but the ending was worth it.